I heard there’s a popular steak restaurant in the shanty in the residential district. The restaurant’s name is Beef steak Hiyoko. 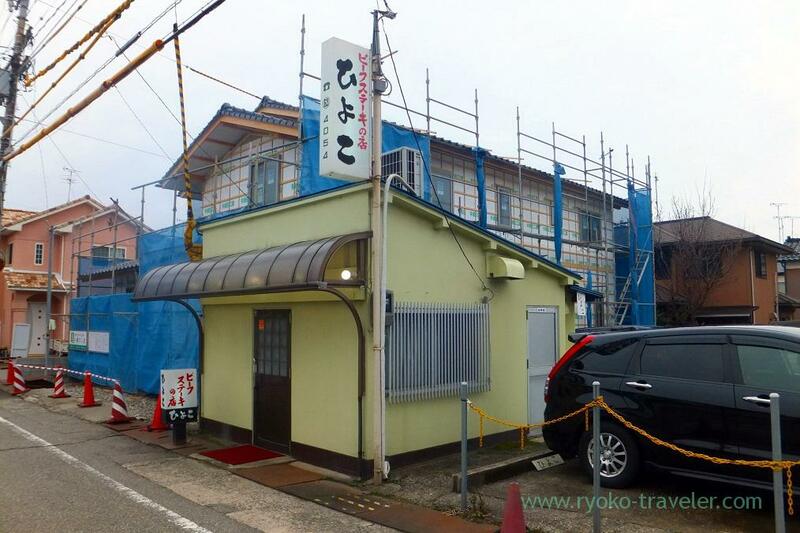 It is said to be the best steak restaurant in Ishikawa prefecture. So small house. You think they serve foods at inexpensive price from its appearance. But be careful. They serve steak only. It’s 12,000 yen ! And you should reserve in advance. They have only 8 counter seats in the house. It takes about 20 minutes from Kanazawa station by bus. After we opened the door and said to them that we reserved in advance, they took us to the seats. 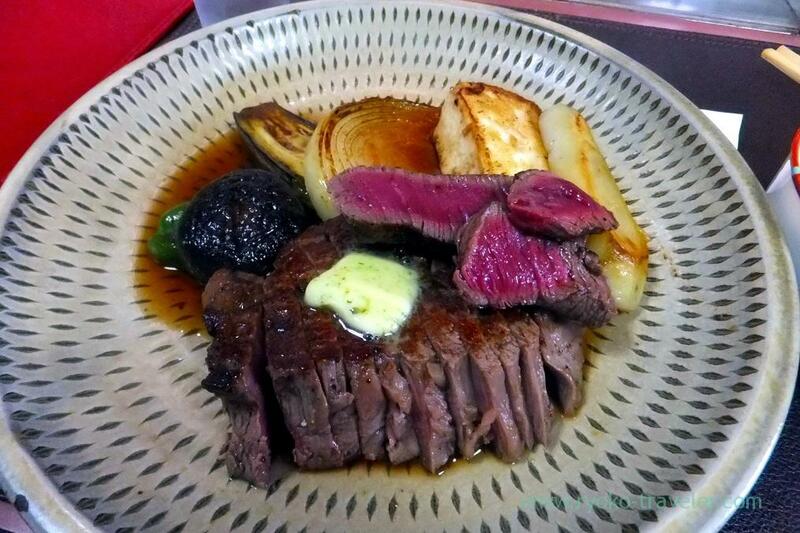 They serve Kuroge Wagyu beef steak (黒毛和牛ビーフステーキ, 300g) only. We didn’t have to order. After a while, the lady served salad and hand towel to us. 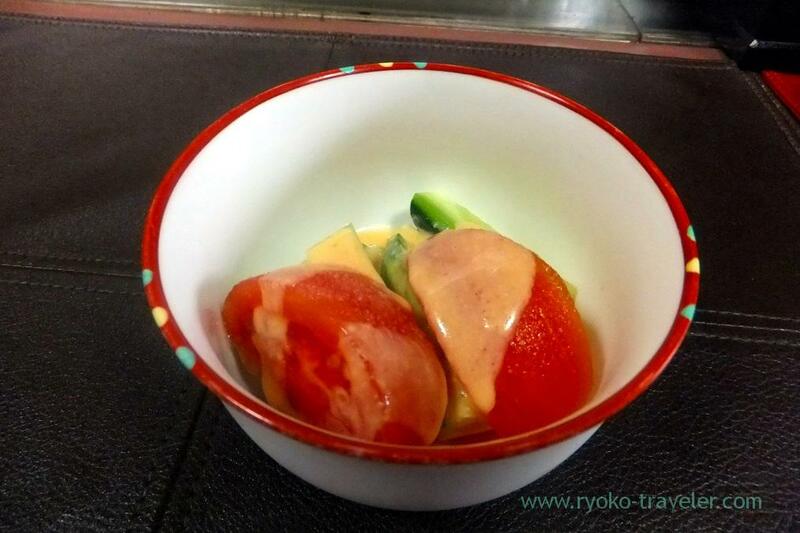 Tomato and cucumber. Those were fresh. And the chef started to cook meat in front of us with iron plate. After 10 minutes or so, our steaks were served. Abundant flavor of grilled fillet with rare was awesome. And shiitake mushroom, onion, eggplant, potato, sweet chili was on the same dish. 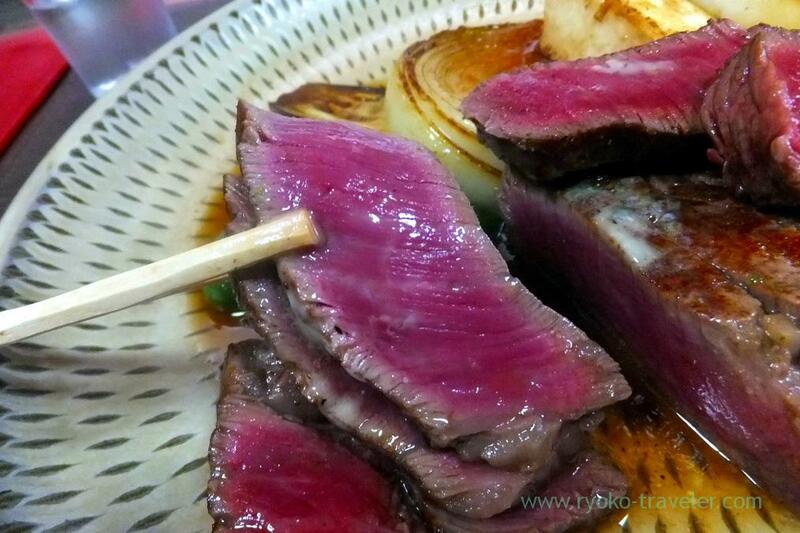 The chef marinate Kuroge Wagyu beef before grilling. So the rare steak was so soft and delicious. I think it go with rice very well, but they don’t serve rice. 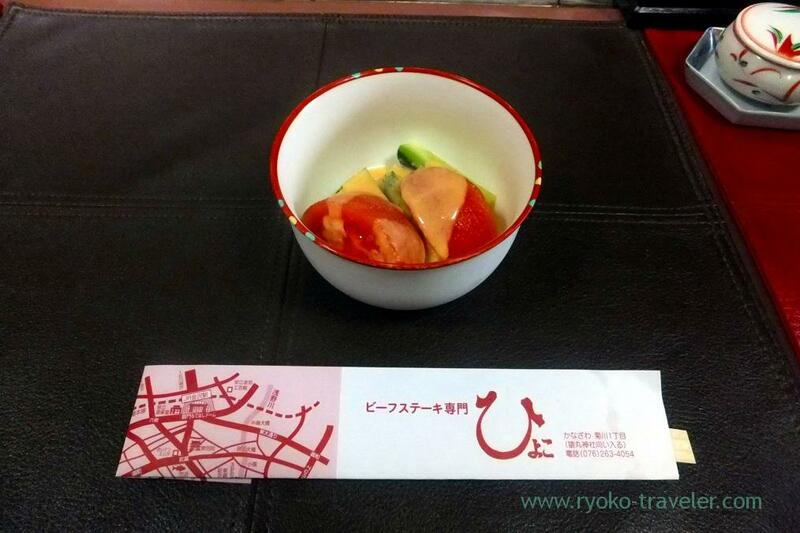 Though a man who didn’t reserve in advance visited the shop while eating and he could eat. But the shop is far from the station and there is no outstanding shop except Hiyoko. So, you’d better reserve in advance. Open / 4 p.m. – 9 p.m.
Sundays and another national holidays / 1 p.m. – 9 p.m.